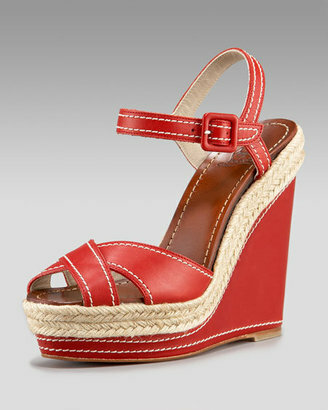 Christian Louboutin's "Almeria" Crisscross Espadrille is $435 at Neiman Marcus. It's destined to be the must-have summer shoe for Louboutin fans. 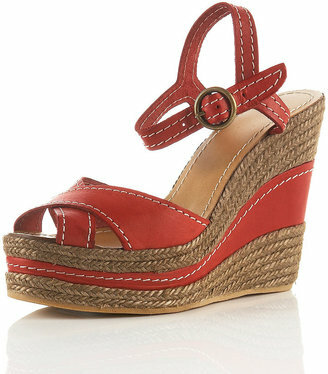 While not exactly cheap, Topshop has a lookalike for a little less green if you really love this style sandal. It's called the Wicket Leather Stitch Wedge and it costs $135 at topshop.com. Click the image to check it out. Looking for another option? Jessica Simpson shoes makes a knockoff of the Christian Louboutin "Almeria" Wedge sandal in brown for just $89 which you can see in this earlier post. 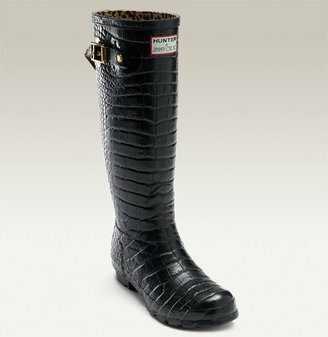 When luxe shoe brand Jimmy Choo teamed up with with the makers of the iconic, albeit significantly more utilitarian, Hunter rain boots, the result was a fierce yet practical all-over croc embossed wellie, which you can purchase for $425 at Nordstrom. 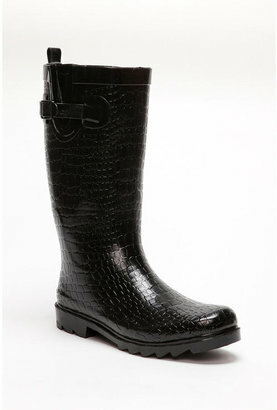 Urban Outfitters has this look for less with these Croc Printed Rainboots, which you can purchase for $38 by clicking the image above. J. 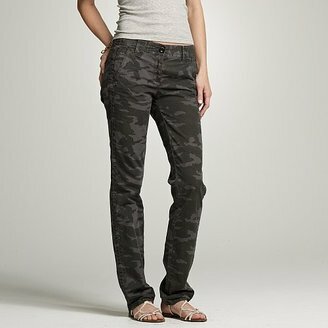 Crew's stylish take on camo results in the versatile, slim-fit charcoal camo Delancey pant, on sale now for the very reasonable price of $49.99. 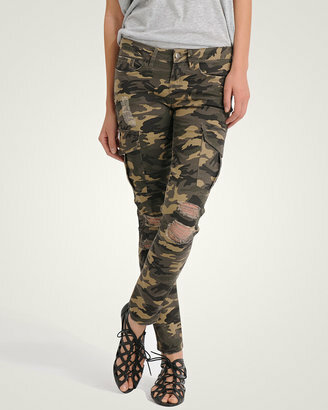 If you need another option, Forever 21 offers these Camo Turf Cargo Pants in olive and taupe with shred detailing at the knees, for just $24.80.